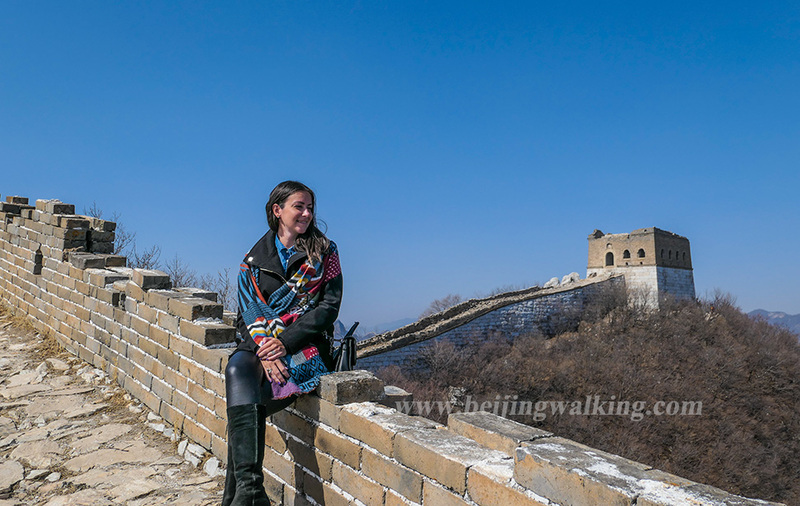 In this post, we list where to go for the best views of Beijing, from on land and water as well as from the sky. 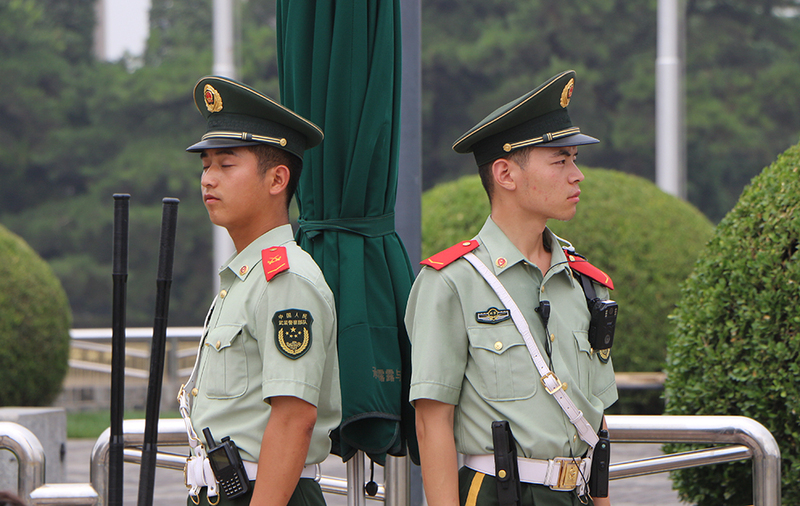 Most visitors to Beijing will visit the famous heritage sights such as the Temple of Heaven, Tiananmen Square, and the Forbidden City, but there are other, often free options. 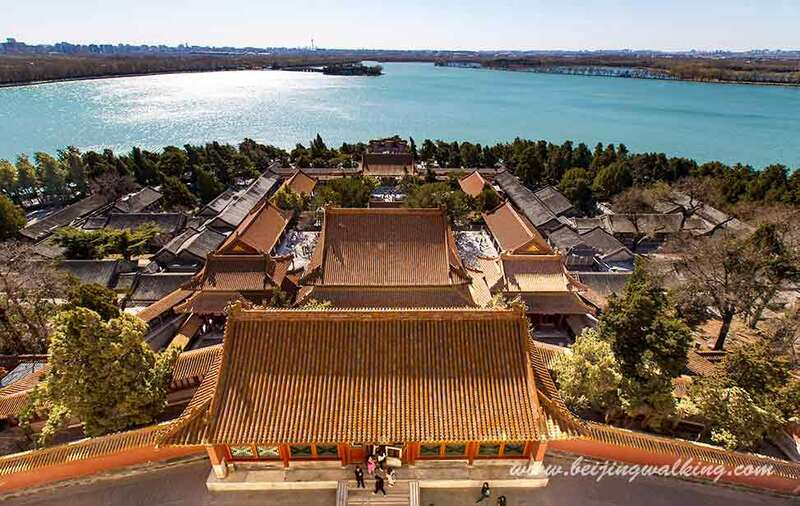 You can get a birds-eye view of the Forbidden City from the Jingshan Park. (See the picture below). This park is next to the North Gate of the Forbidden City. 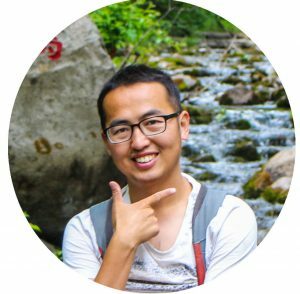 It can be super crowded during the day since a lot of tourists visit it after they visit the Forbidden City. So it is better to go there in the late afternoon. It is closed 7:30 pm in winter schedule from November to March. And 9:30 pm in the summer schedule from April to October. (The entrance fee is 2RMB per person.) It gives you enough time to see the sunset view from the top of the hill. 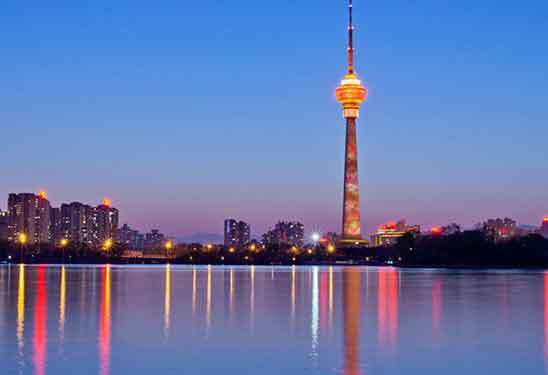 You can get there by car or by subway to Nanluoguxiang station (line 8 and line 6) and then walk there. 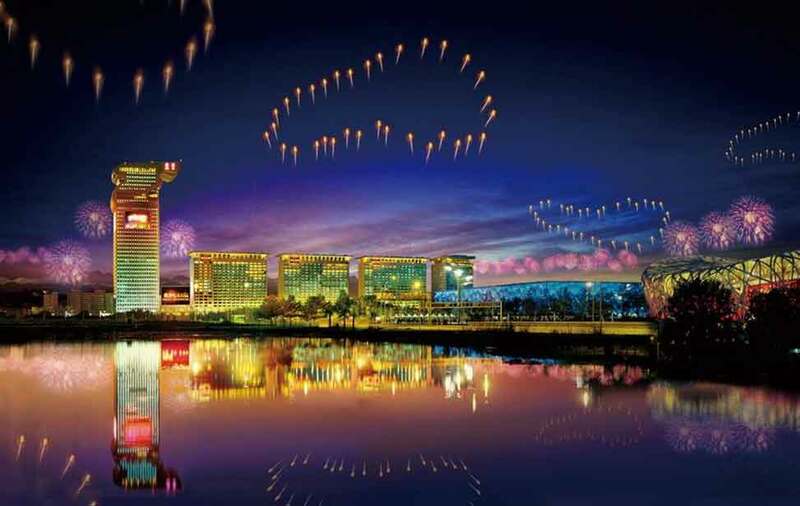 This hotel is located on the west side of the birds nest (National stadium). It has a great view from the hotel. You can go up to the 21-floor lounge and have a cup of drink. You will enjoy the fantastic view. Especially in the evening when the building light up. t is the tallest structure in the city, the ninth-tallest tower in the world, and has its observation deck at 238 m (781 ft). 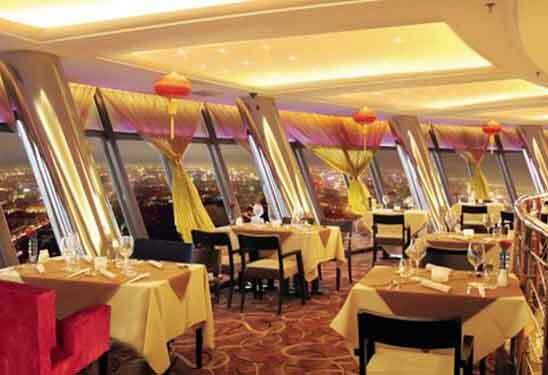 The tower provides panoramic views over the city from its revolving restaurant and observation deck. There is a Revolving Restaurant with a nice buffet at 215 Meters. 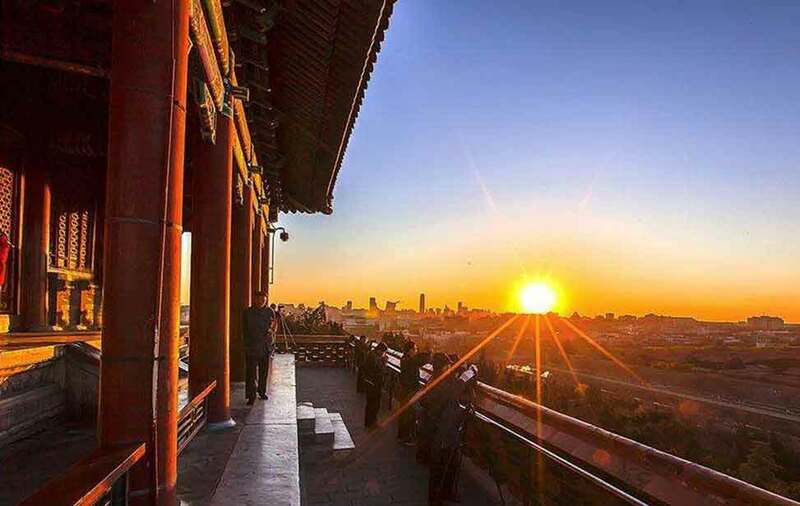 You can go up to 238 see the panoramic view of Beijing. The price for lunch is 168RMB. Dinner price is 298RMB. The price includes the entrance ticket. The building topped out at 330 m (1,083 ft) on 29 October 2007 and completed in 2010. The building bears a resemblance to the original Twin Towers of the World Trade Center in New York City, which was destroyed in the September 11th, 2001 attacks. 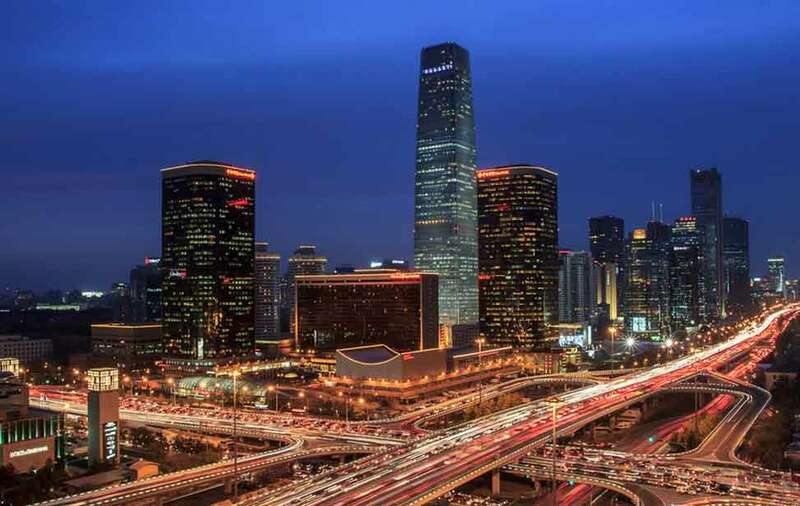 It is the 2nd tallest building in Beijing. Floors 64 to 77 are occupied by the China World Summit Wing Hotel with a lobby on the 64th floor. Floors 79 to 81 are used for a restaurant and an observation deck. The highest bar in Beijing is on its 80 floors where you can get an amazing view! 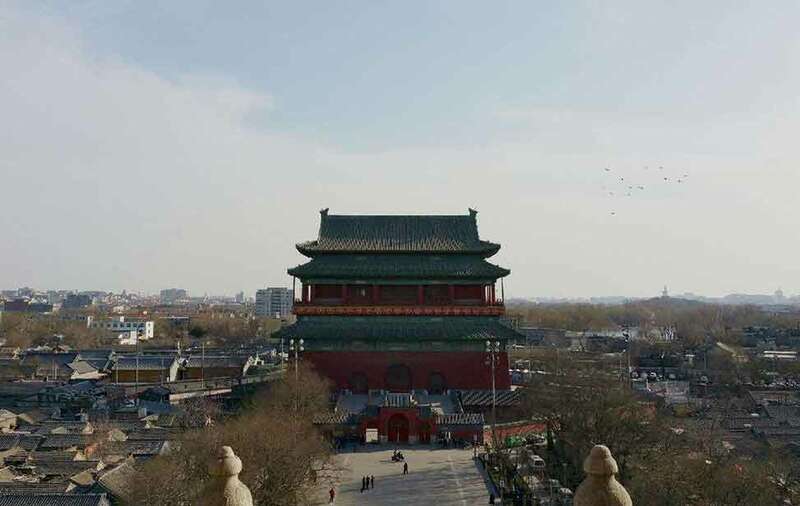 Drum and bell tower is the best place to see the whole Hutongs in Beijing. The tickets price is 20RMB for each tower. 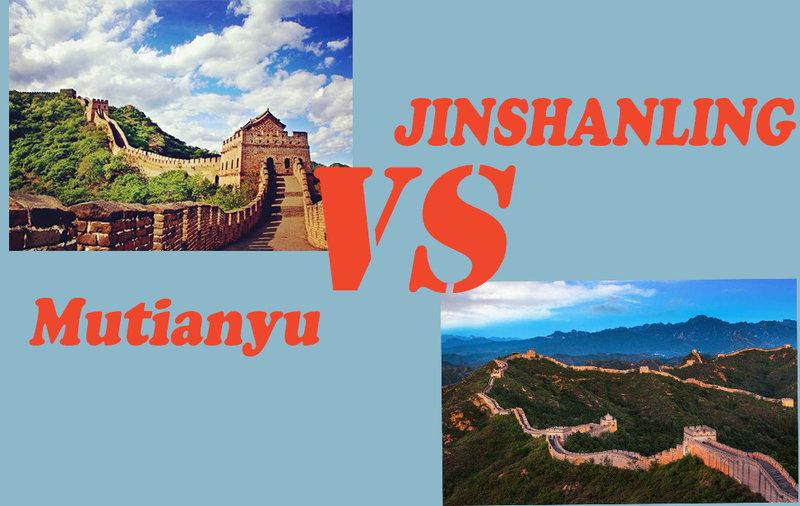 If you buy the tickets together is 30RMB for both towers. Stand on the top of the tower, you can see most of the imperial garden on the west side of Beijing. This tower is 41 meters high.